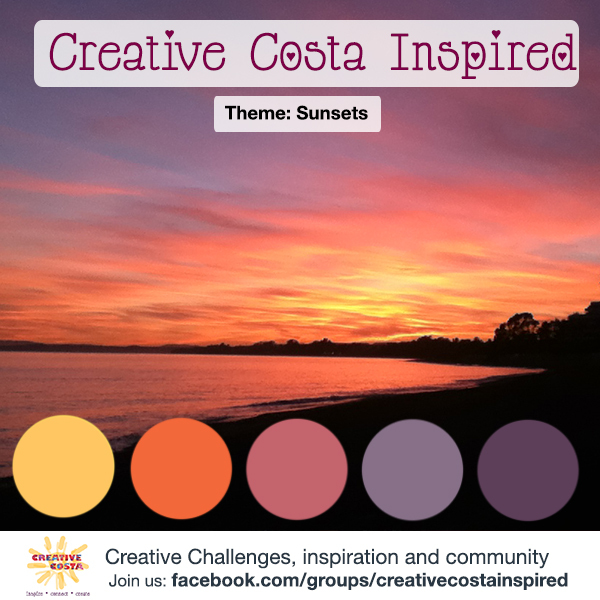 This month, we have been exploring sunsets in our new Creative Costa inspired facebook group (if you have not yet joined, come over and play!). Here is the info on the challenge for May if you missed it. Would you like to join us next month for our next Creative Challenge? Come join the facebook group here. Next challenge will be posted on June 1st.